At APT, we strive to be as environmentally friendly as possible. All our packaging is fully recyclable and reusable while giving the best protection to make sure that our customers’ orders are delivered in pristine condition. With such a variety of shapes and sizes of parts that we manufacture, APT is always thinking of innovative ways of protecting and delivering our components. All our orders are thoroughly checked before leaving the factory. Being based in the centre of England, our site is minutes away from major motorways, the railway network and is also in easy reach of both Birmingham International and East Midlands airports. We deliver orders safely, efficiently and quickly. We manufacture a wide variety of turned and milled parts from many different materials, view many cross sectors examples in our gallery. Thanks to our on-site storage space, we are able to take blanket orders for our customers over a 12-month period. This offers our customers the best price on a bulk order with the convenience of receiving the number of components only as and when they are required. 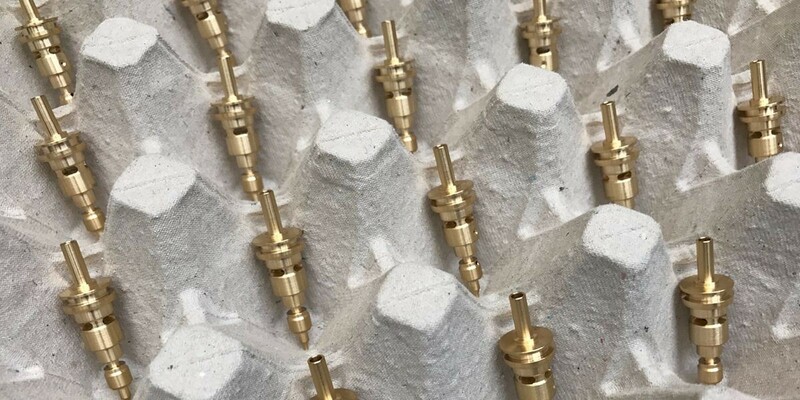 By ordering an assembled component from APT, we can provide a fully machined, finished, checked and completed part delivered to our customers ready for use. APT is committed to remaining a global brand. We ship to customers in Europe and worldwide and can deliver directly to them from our site in Leicestershire.